Comments: Robert Paul’s Theatrograph projector first became part of the programme at the Egyptian Hall in Piccadilly, London on 19 March 1896, having made its public debut on 20 February 1896 at Finsbury Technical College. The Egyptian Hall was known for its magic shows presented by the company of Maskelyne & Cooke, where magicians David Devant and John Nevil Maskelyne were important early adopters of moving images as a public entertainment. The films named here are the Edison titles Band Drill (1894), Highland Dance (1894), a serpentine dance (there were several Edison films of serpentine dancers) and Boxing Cats (1894). The review goes on to mention the various magic arts that formed the greater part of the programme at the Egyptian Hall. This entry was posted in 1890s, Film journals, United Kingdom and tagged Band Drill (1894), Boxing Cats (1894), First impressions, Highland Dance (1894), Lecturers and introductions, London, Magic, Music, Musicians, Variety theatres. Bookmark the permalink. 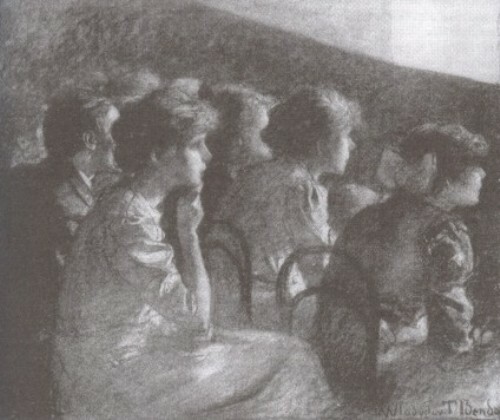 The earliest recorded exhibition of Paul’s own films in your Film History chronology is 13 April 1896, a probable Theatrograph show in Birmingham. This is very early, if John Barnes is right in saying he went into production in April.